Spring came for one brief day this past weekend. 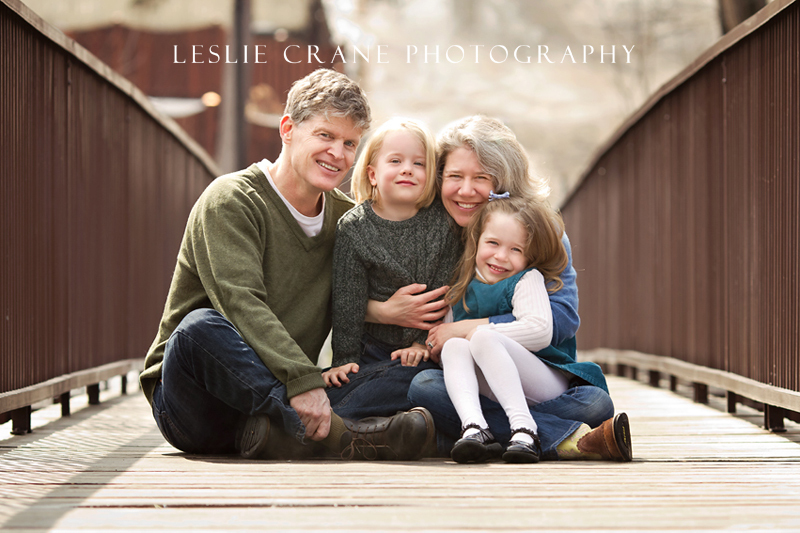 I had an indoor session scheduled with this family, who was together for Easter. The forecast called for heavy clouds and temps on the cool side. Well... we ended up outdoors in the beautiful sunshine. I love that kind of "unexpected:" it was gorgeous outside, and even though it was wet and there was still snow on the ground, there was warmth in the air and in hearts. I had such a wonderful time with this very loving and joyful extended family. This spot right here on this bridge is a very special one because it is the place where this very nice guy proposed to this very lovely woman. 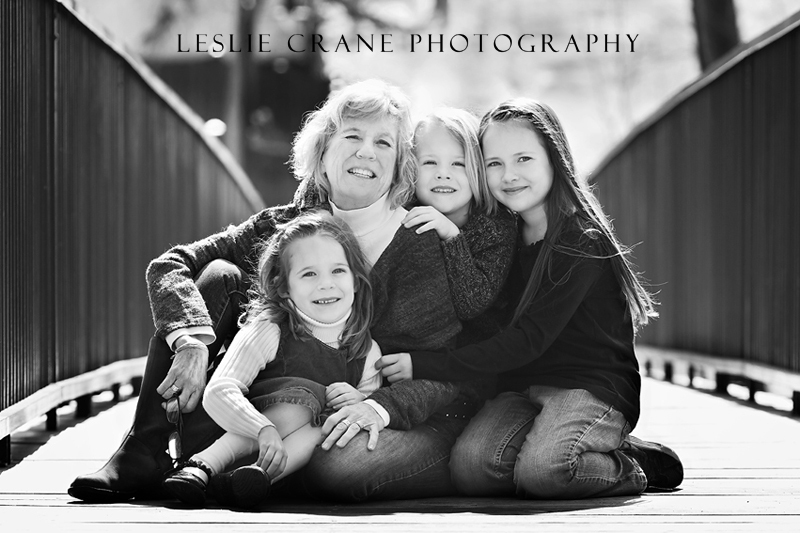 And here they are with their very adorable six-year-old twins. 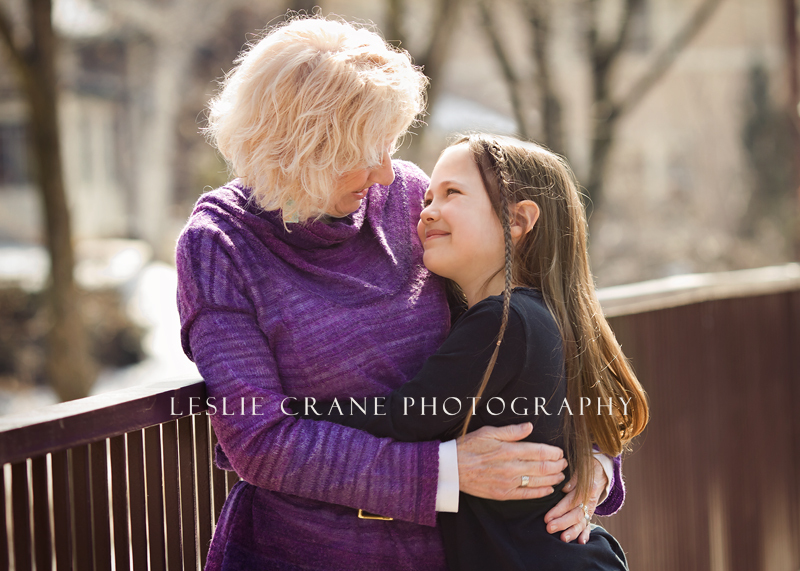 I absolutely love when we can incorporate a meaningful place or thing into a photo session. 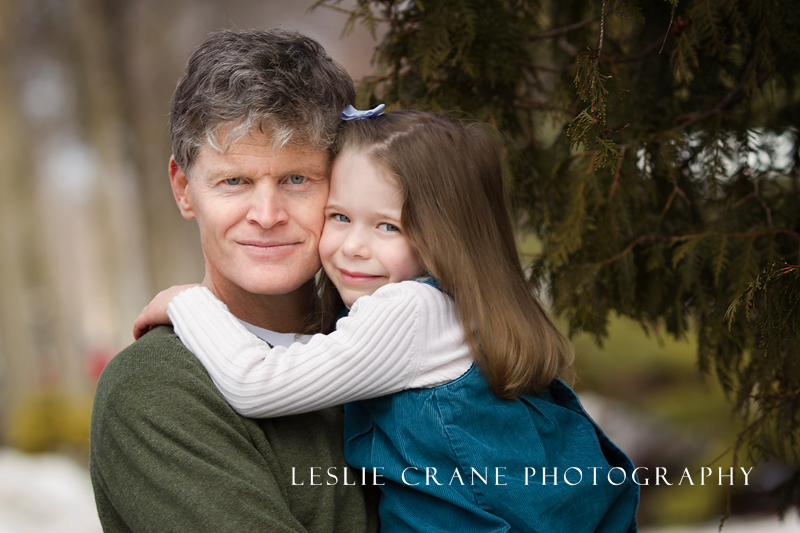 To view my complete portfolio or schedule your own session, visit my website. what a beautiful family! Looks like they were having a great time with the warm and sunny weather! 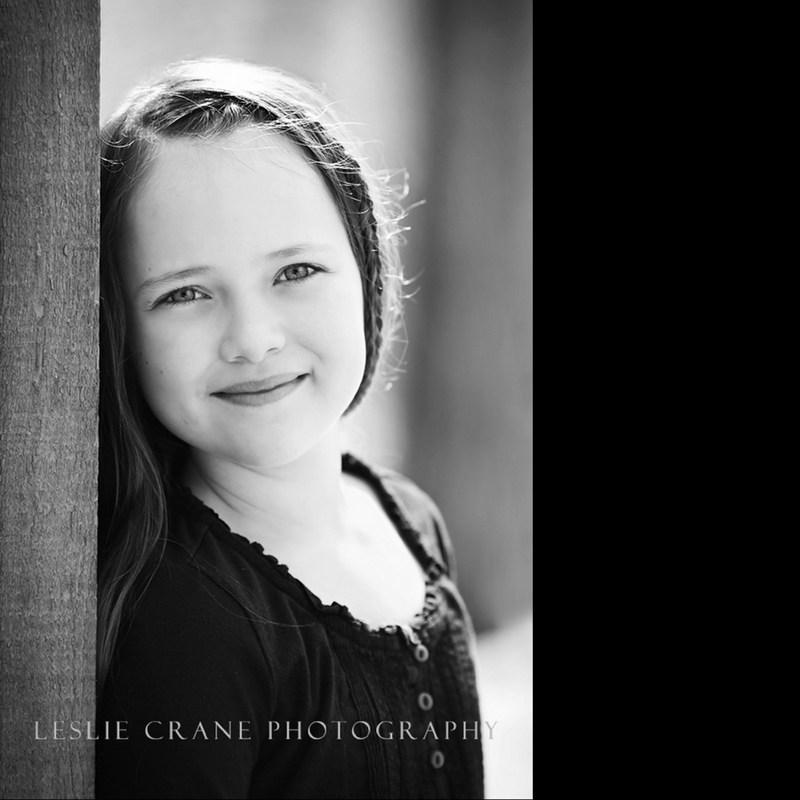 Love that first bw of the little girl, stunning! They look so happy! Just beautiful, all of them. Oh my gosh! These are great. What a beautiful family!! Love them all in every way possible! Beautiful work! Awww, just love how every picture makes me feel all cuddly and joyful. Even the portraits are full of vitality. 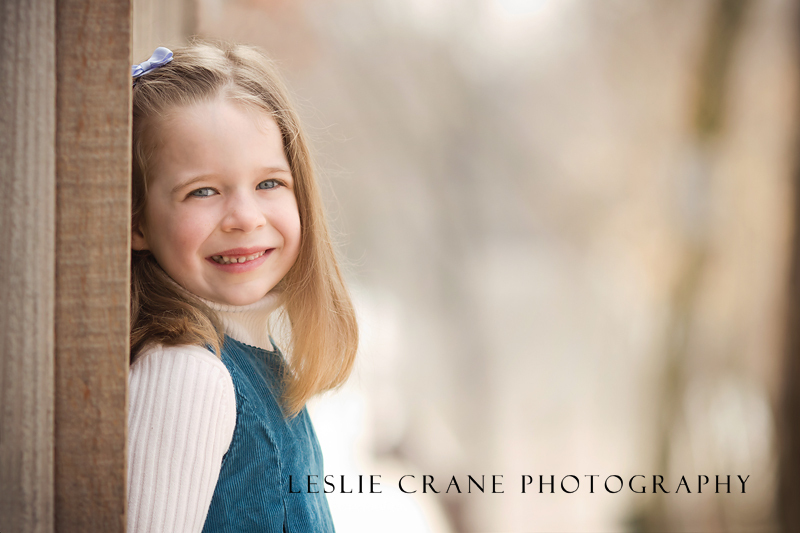 What joy a little sunshine, and a wonderful photographer, can bring to a day! What a gorgeous location. They all look so happy together. Amazing! 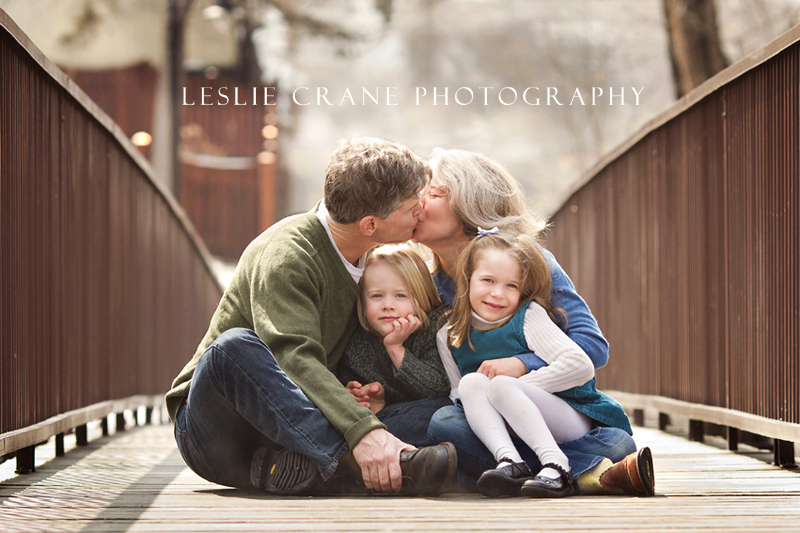 I would love to have pictures like this of my family. The love and happiness just shines through. 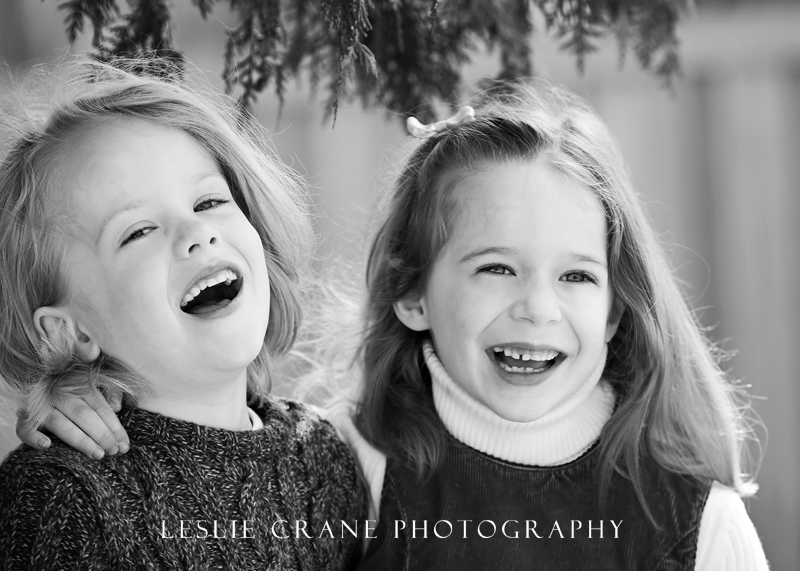 I love family sessions that put a smile on my face and these are filled with so much joy! You can see how much they love and enjoy each other. Such a gorgeous family too! These are gorgeous, Leslie! I absolutely love that first shot. 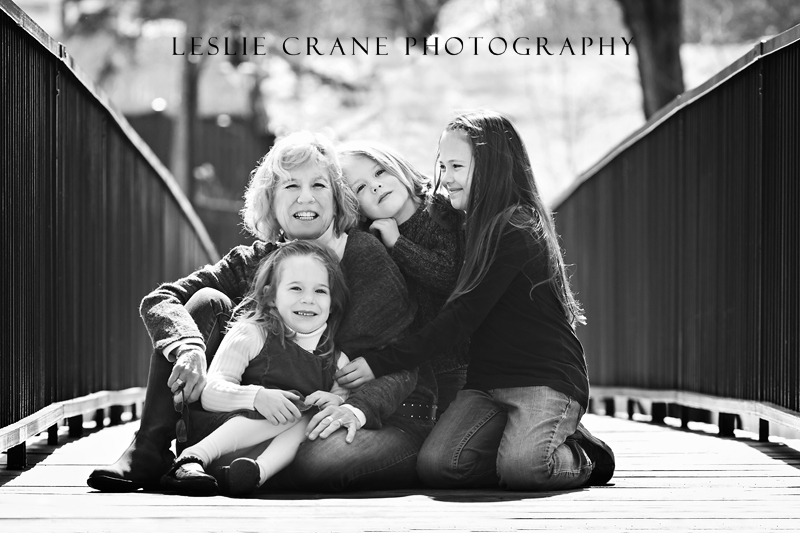 How awesome to have their family photos taken on that same bridge that has so much meaning to them!?! 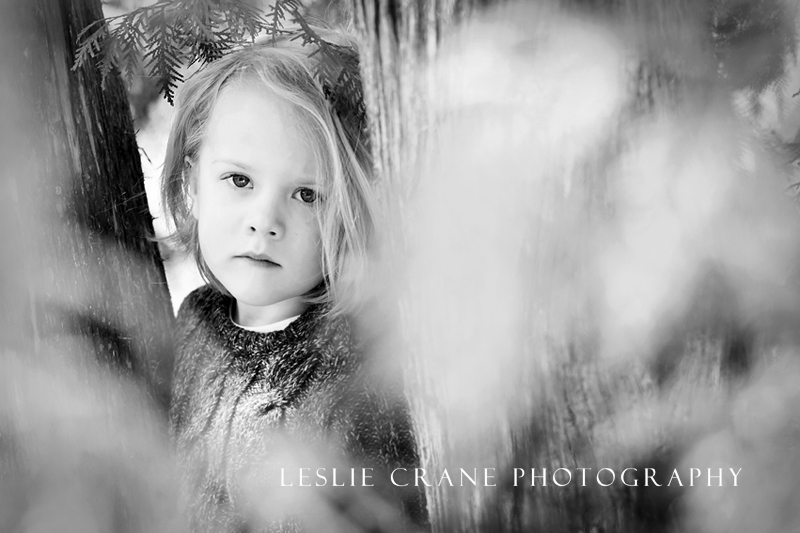 Oh wow, that B&W shot of their little girl and her serious face through the leaves is such a standout:) Great job on these!